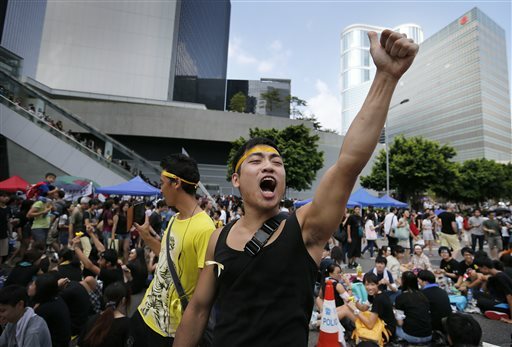 HONG KONG (AP) — Shops in Hong Kong have closed and the local stock market has plunged but protesters are gambling their agitation for greater democracy will pay off by preserving institutions that made this former British colony a profitable asset to China. The impact on Hong Kong’s key industries of finance and trade is limited so far. But economists warn Hong Kong’s appeal to global companies might erode if they start to think protests will become more frequent — or if they end in a violent crackdown. In the latest blow, mainland authorities on Wednesday suspended group tours to Hong Kong, cutting a critical source of revenue to its growing travel industry. Protests erupted after the communist Beijing government announced candidates in the first direct election of the territory’s chief executive in 2017 would have to be approved by a panel dominated by business leaders allied with the mainland. 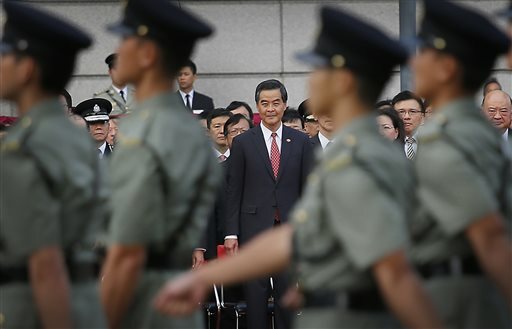 That fueled unease Hong Kong is losing its special status despite a promise of a “high degree of autonomy” when the colony returned to Chinese sovereignty in 1997. Protesters also are frustrated at the growing income gap between ordinary people and a wealthy elite. 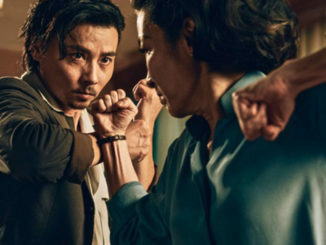 “I hope that the Hong Kong people could understand that sometimes we need short-term disturbances to draw attention from the government to solve some very serious, deep-seated problems with society,” said Chan Kin-man, an organizer of the pro-democracy movement Occupy Central with Love and Peace, in an interview. “Without a fair system, the election system, I don’t think we can have long-term harmony,” he said. Packed with skyscrapers and shopping malls, Hong Kong has thrived as a trading port and service provider as China grew to become the world’s No. 2 economy. But that prosperity depends on an independent, Western-style legal system and civil liberties Beijing promised to preserve through 2047. This territory of 7 million serves as a jumping-off point for mainland companies, many of them state-owned, to do business in global markets. The strong reputation of its regulatory and legal systems have helped them raise billions of dollars through its stock market from foreign investors. Business also might be hurt if Beijing’s response to the protest erodes rule of law, transparency and the freedoms that make Hong Kong a global center, said Tony Nash, a vice president at Delta Economics. “It is that infrastructure that makes Hong Kong exceptional,” he said. Tens of thousands of protesters have camped out in shopping and business districts for nearly a week. A two-day holiday on Wednesday and Thursday brought more residents into the streets to show solidarity with younger protesters. Some schools and businesses have closed. But demonstrators cleared lanes for emergency vehicles to get through, cleaned up and sorted rubbish for recycling and avoided rowdy behavior. The local stock market benchmark, the Hang Seng index, has tumbled more than 9 percent since hitting a six-month peak in September. Banks closed 44 branches due to the protests, according to the Hong Kong Monetary Authority, the territory’s central bank. It issued a statement assuring investors financial markets were operating normally. “Business and investors are increasingly building in higher operational risks, fearing that future protests could escalate and turn more frequent,” said Citigroup economist Adrienne Lui in a report. A question for investors is whether the territory “can resolve its political issues so that we have a government that commands basic popular consent to implement economic and structural policies,” said Andrew Colquhoun, head of Asia-Pacific ratings for the Fitch ratings agency, in a report. “Those questions will likely be answered over months or years rather than days,” wrote Colquhoun. Hong Kong’s growing tourist trade relies on mainland visitors, and this week’s National Day holiday is one of the biggest shopping periods of the year. “Last year, Hong Kong saw 41 million visitors from China. That’s a very big part of the economy so it will have an impact, even if it’s just for several weeks,” said Rajiv Biswas, an economist for IHS in Singapore. A statement read on the mainland’s state TV on Wednesday called on Hong Kong residents to support efforts to “restore social order.” The main Communist Party newspaper People’s Daily warned of “unimaginable consequences” if protests persist. An intervention by China’s military or security forces is one of several “worst case” but unlikely scenarios, said Steve Vickers, of risk consultancy Steve Vickers & Associates. “If it actually came to pass, this would present a major threat to business and to Hong Kong’s autonomy and reputation,” he said. Some local residents expressed consternation over protesters’ rejection of calls by Leung and other officials to quiet down and go home. But many were sympathetic, judging from the piles of donated water, umbrellas and other provisions in protest areas. “The movement may affect the economy a bit, but not too much,” said Pierre Wong, 36, who works in information technology. Associated Press Writers Joanna Chiu and Wendy Tang contributed.